Y.E.S.S. sets no rigid parameters for the young people it helps. We simply require a commitment to address the issues affecting them, as well as respect for themselves and everyone who uses and works at the Centre. Many of the young people we see have been discouraged by previously unsuccessful dealings elsewhere, especially in mainstream education, and for that reason, we are concerned not to overwhelm them in the first instance with ‘action plans’ or rigid appointment times. Nevertheless, we have a firm commitment to providing a launch pad into more formal programs of education and skills acquisition. To this end, we encourage young people, where appropriate, to investigate the possibilities open to them, as well as providing the means for them to sit the City and Guilds Functional Skills, including Entry Level, here at the centre. As the needs of the area have changed YESS began offering GCSE exams in 2004 and from 2008-9 we started offering GCE Advanced level examinations as well. Since that time approximately 400 students have taken GCSE exams at the YESS Centre and 17 sat A-levels. Most of the students who are taking the GCSEs attend YESS instead of their state school. City & Guilds is the largest provider of Vocational Courses in the country. They are recognised by companies worldwide and regarded as the benchmark for workplace skills. YESS sought immediate registration as a City & Guilds Centre as soon as it was formed. Since the project was founded more than 1600 City and Guilds Functional Skills and Functional Skills qualifications have been earned by the students. These are also available to private candidates and we are more than willing to give people the opportunity to sit them. The qualifications on offer are Levels 1 and 2 English, Maths and ICT, which can be taken at any time throughout the year. On arrival at YESS students are assessed in an informal interview setting. This involves a simple form filling exercise and a short test in Literacy, Numeracy and IT Skills. We then decide together the best way forward for each individual student and design their educational program. It might be just a stepping stone to college or employment or it might form part of a combination that is part-time college, employment and completing their GCSEs or GCE’s with us. YESS also works with the local authorities and schools in helping provide places for students under 16 who will be at YESS for full time education for either short or extended lengths of time. Each student works at their own pace and level and has access to constant one-to-one support in their studies. YESS is unique in that it is predominantly 1 to 1 teaching with the students. Many of the students at YESS could not achieve what they were capable of in a classroom setting so at YESS each student works at their own level with individual support. Currently, the YESS centre offers 10 GCSEs. Art, Biology, Physics, Mathematics, English Language, English Literature, Drama, Religious Studies and Sociology. The centre also works based on the needs of individual students. For example, if a student was taking Business Studies at school YESS finds the outside resources if needed to support that student in their studies. Art is a very important part of the YESS project. It gives many of our students a chance to have a creative outlet. 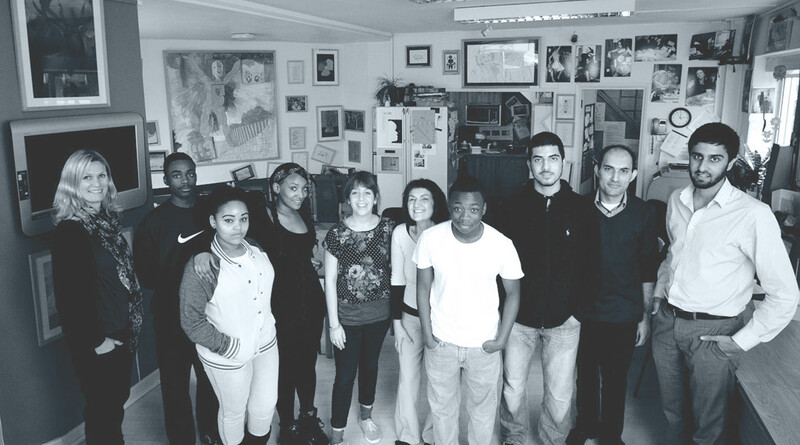 The project often brings in outside artists to have workshops with the students. The project has also offered AS and A levels in certain subjects where ever appropriate, such as Art, English Literature, Biology, Maths and History. The project tries to cater to the needs and wants of the current students so as the need arises the YESS centre brings in other resources, such as for dance, music and self-defence/martial arts. Such extra-curricular activities provide enrichment by broadening the ‘canvas of learning’ and providing as well-rounded an education as we can, given the constraints of time, circumstance and resources. It is the ‘value-added’ nature of the service that we provide that is of paramount importance and is the key to our success. It has already been mentioned, at the top of this page that most of our students come to us having had very negative experiences in mainstream education. This applies, in particular, to our GCSE students. 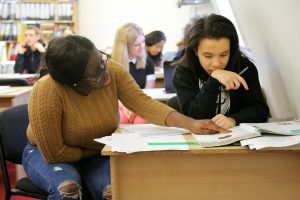 Many such students are ‘at risk’ of permanent exclusion and thus of sliding into criminality, especially given the inner-city neighbourhoods they inhabit. They could potentially end up being marginalised from mainstream society and become yet another statistic in figures of crime, unemployment and poverty. By the time they complete their studies at the YESS project we have typically witnessed a radical turn-around. They leave YESS with a considerably greater number of useful qualifications usually at a far higher grade band than they would have obtained had they remained in mainstream education and been permanently excluded. Such young persons have, in effect, been ‘rescued’ from a life of potential failure, criminality and marginality and given the opportunity to create a more positive, constructive future in which they can contribute to society in more meaningful ways and hopefully go on to lead far more successful lives than they might have done had they not come to us.